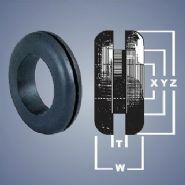 When passing servo vac' hose through any metal bodywork or bulkheads, the use of a protective rubber grommet is recommended. Sold individually. Suggested quantity 5.